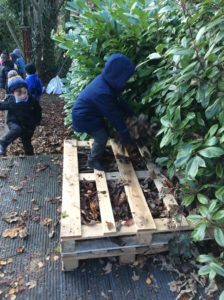 Reception class have been building! 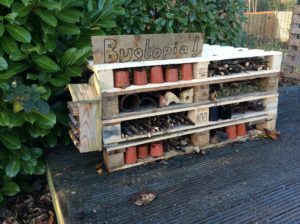 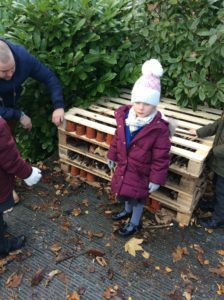 Foundation Stage have built a bug hotel as part of our work on Minibeasts. 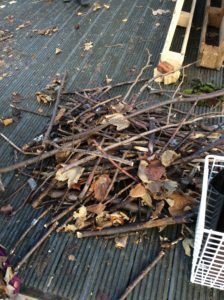 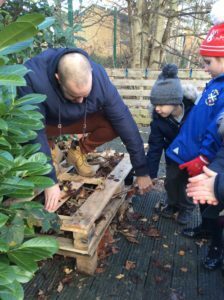 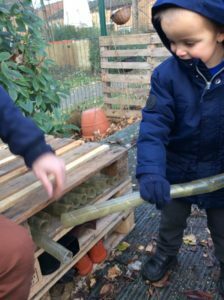 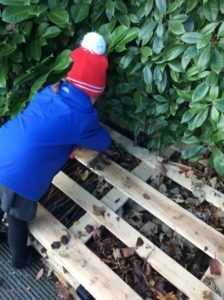 Mr Reed and Mrs Hodson stacked some pallets and the children collected sticks, bricks, plastic piping and pots to push into the gaps. 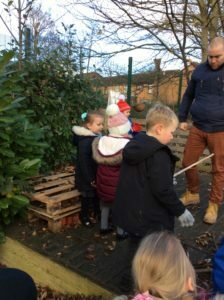 We can’t wait to see who moves in as the year goes by!